Every two years, the British Society for the History of Science (BSHS) awards its Dingle Prize for the best popular book on scientific history. 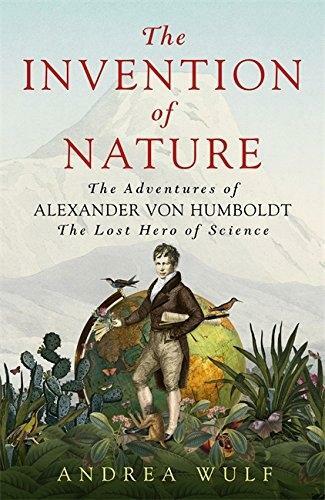 This year’s winner is Andrea Wulf, who has written a wonderful book about Alexander von Humboldt, The Invention of Nature. She has generously agreed to lecture for us at the Science Museum for one of their Lates evenings on Wednesday 30 May from 7.30-8.30pm. It is a ticketed talk, but there is a generous discount for BSHS members, which you can claim by entering the code ‘BSHSdiscount’ , in the PROMO CODE box. Please note that you and any guests must be over 18 (a Science Museum requirement). There will be refreshments and a very short EGM for BSHS members immediately before the lecture at 6.15 in the Science Museum’s Dana Centre. I encourage you to come to that as well, because we need to be quorate for electing next year’s Council.